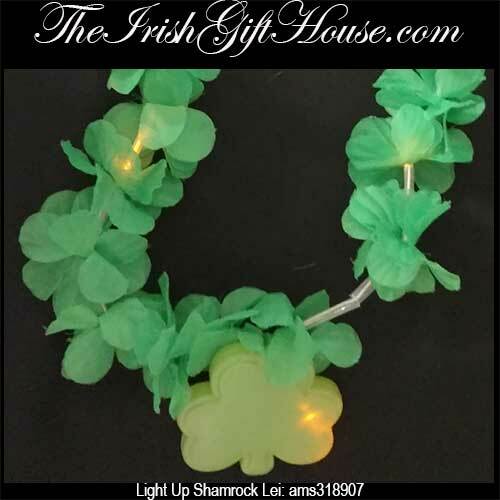 Both the shamrock charm and the lei neck cord of this flashing St. Patrick's Day necklace light up. 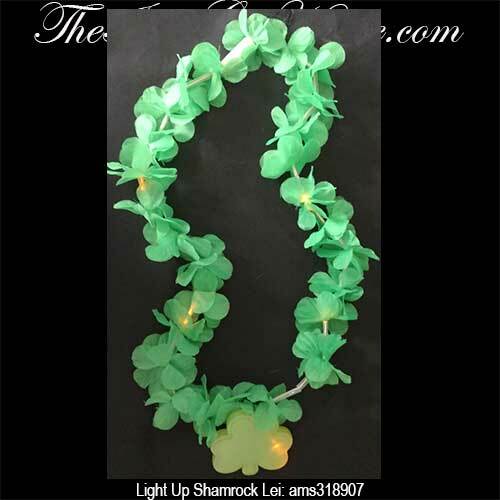 This light up shamrock lei is a flashy piece of jewelry for St. Patrick's Day. Both the green shamrock charm and the neck cord, that is covered with fabrick shamrocks, illuminate. The shamrock charm on this St. Patrick's Day necklace measures 2 3/4" wide x 2 1/2" tall and the batteries are included.